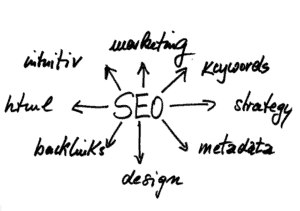 SEO can be a confusing and puzzling field for anyone unfamiliar with the terms and techniques used, so the first thing to do in selecting an agency is not to look at agencies, but to decide exactly what you hope to achieve. For example, do you want to increase awareness of your brand, or do you want to have more paying customers? Once you have defined your objectives you should aim to have a good understanding of what is possible and preferably be aware of the best white hat (above board) techniques that are generally used. These would include on-page optimization (making sure that keywords and phrases are included) and off-page optimization (setting up meta tags such as titles and descriptions). In addition, external and internal linking should be covered, as well as the technical and navigation structure of the site. W ith an understanding of what you want and a fair idea of the ways in which it can be achieved, you can start to look for agencies to help you. If you search the Internet, you can find lots of well-meaning advice on how to select an SEO agency, but most of it is wide of the mark. In particular, be very wary of any company that is offering guarantees or promising unrealistic results. SEO is a continually changing field and Google is constantly updating and altering its search algorithms in an effort to provide the searcher with the best experience and the most relevant and valuable content. Because of this, what worked yesterday may not work tomorrow and that makes it impossible to guarantee any given result in a specific timescale. The first thing you need to check is whether the SEO consultancy is listed in the top one or two places for related keywords? If it can’t rank itself, what is the likelihood of it being able to rank you? Ideally, you want to see rankings for keywords that have a degree of difficulty, not long-tail keywords that have limited competition. Did they provide a detailed analysis of your site? How thorough was the review and did it produce sensible suggestions for improvements? Did the agency discuss your website’s technical and navigation structure, on- and off-page content and your backlink profile? Most importantly, did they demonstrate what Return On Investment (ROI) you can expect to achieve? If they cannot show a significant financial benefit, it will be difficult to justify the expenditure necessary. It is the ROI that turns a cost into an investment.Are they experienced in using social media to extend the reach of your website and to provide additional citations? Do they have a detailed strategic plan for building links? Achieving top SERP rankings requires more than just on-page optimization: it also needs good quality reciprocal and one-way links, from legitimate authority websites. Your chosen SEO partner will understand the importance of backlinks to the search engines. As well as external links, the internal linking structure must be optimized to emphasize to Google that your site is relevant to the keyword searches being performed. Does the SEO agency have testimonials, reviews or recommendations that demonstrate that they are competent in their field and that their past work has been successful and their clients are happy with the results? Bear in mind that many clients don’t want their names linked to an SEO agency for competitive reasons. Are they someone that you feel comfortable with and feel that you can work with for an extended period of time, considering that it can take 6 to 9 months or even longer to get to the top positions for competitive keywords? If you have other questions about how to choose the right SEO agency, please feel free to contact us.